We love the adage that says the purpose of education is not to fill a bucket but to light a fire! 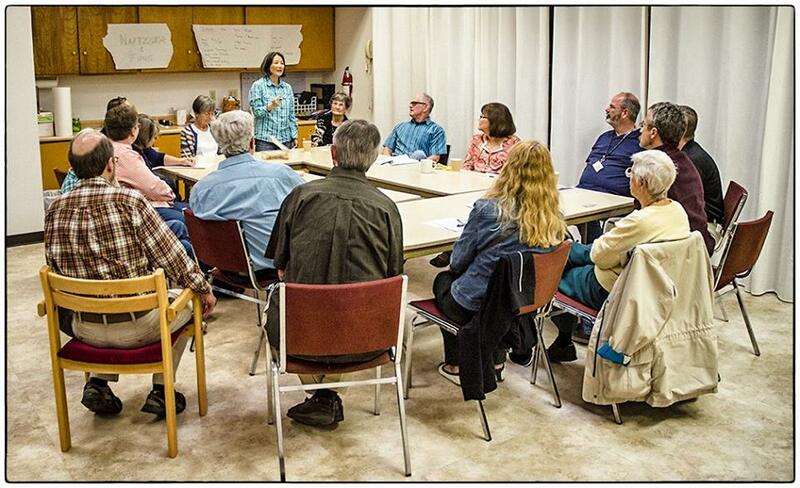 One of the core values of Redlands United Church of Christ is seeing ourselves as life-long fire starters and learners. Growing deeper in faith often involves asking the hard questions that life brings us. Experience the fellowship of other caring people who are also seeking deeper understanding. Explore the traditions of the faith and the developing thoughts of leading progressive Christian thinkers. Express real thoughts and experiences with others without being judged. Engage with others in caring conversations with a diversity of opinions. Click on any of the following for more information on our studies. Seekers: Sunday morning study at 9:30 am in the church office area. Book Club: Meets the first Sunday of the month at 12:00 pm to discuss current fiction and nonfiction books. Alpha Bible Study: Meets at church every-other Monday. Lenten Soup Suppers: An interesting large group conversation about current topics during Lent. Summer Series: A four week pool-side series for fellowship and education.